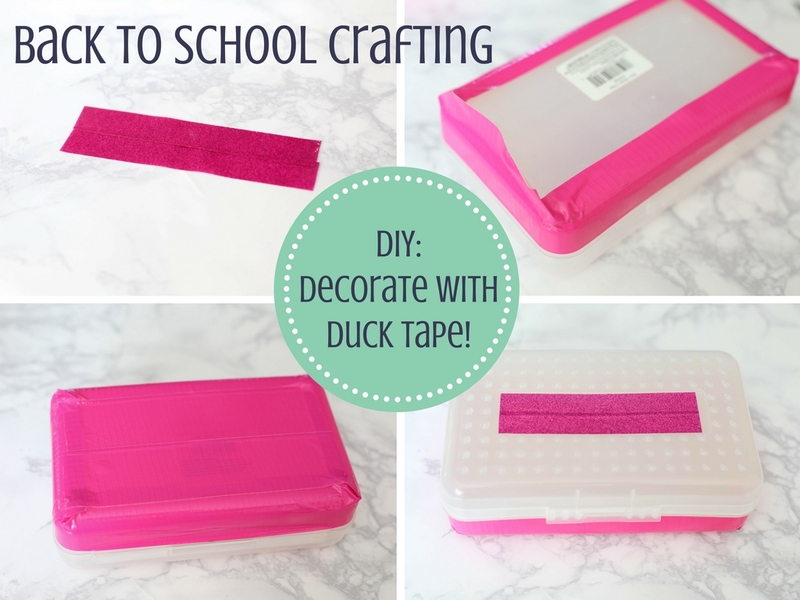 Thank you to the Duck Brand for sponsoring today’s post & inspiring me to try back to school crafting using Duck Brand duck tape! August is here and you know what that means…. 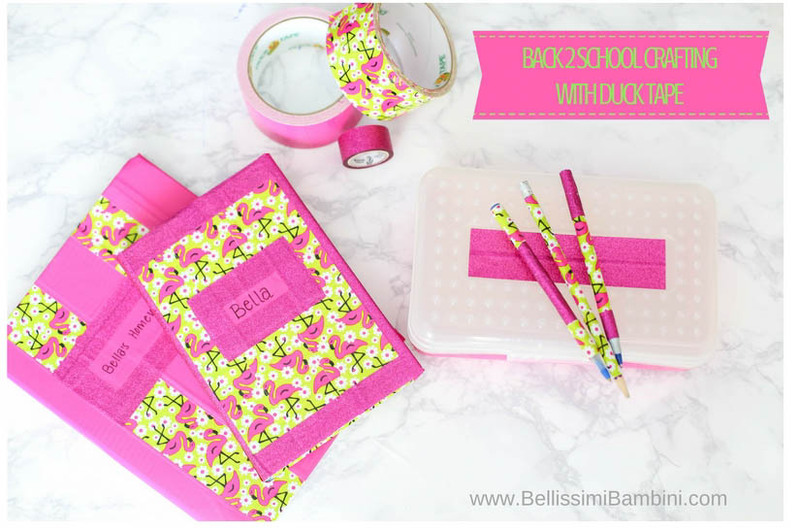 its back to school time! My oldest started school earlier this week and has already come home with school books and homework. This of course made my (almost) 3 year old very curious and wanting school books and homework of her own. What kind of mom would I be if I didn’t oblige? I figured this was the perfect opportunity to get crafty with a few older notebooks from last year and of course I headed straight for Pinterest. Thats when I stumbled upon the Duck Tape Crafts board. 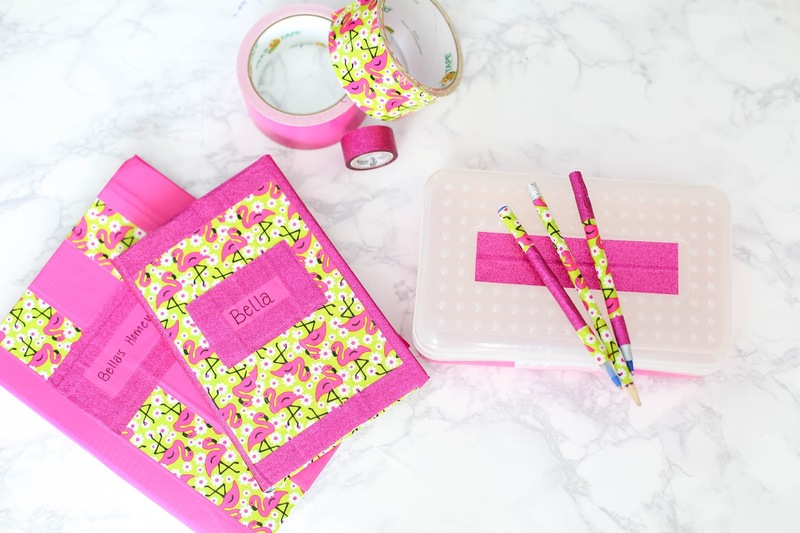 Did you know Duck Tape is a great way to personalize and style up your school supplies and accessories? There are over 250 prints and colors to choose from and its an easy crafting medium for kids of all ages. There are so many great ideas posted that it gave me the inspiration I needed to get something going to make my daughter feel like she could enjoy some after school homework bonding with her big bro. 1. 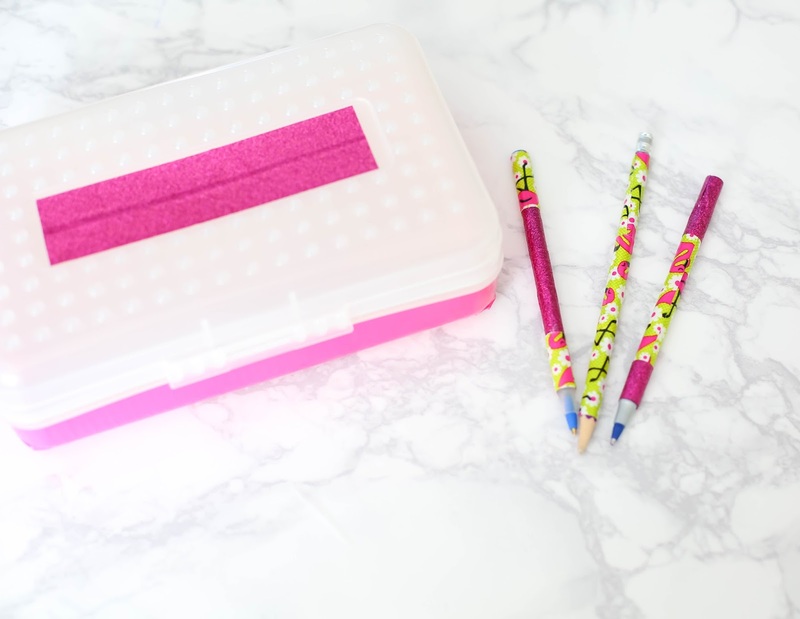 Collect any and all school supplies you wish you give a little “face-lift” to. 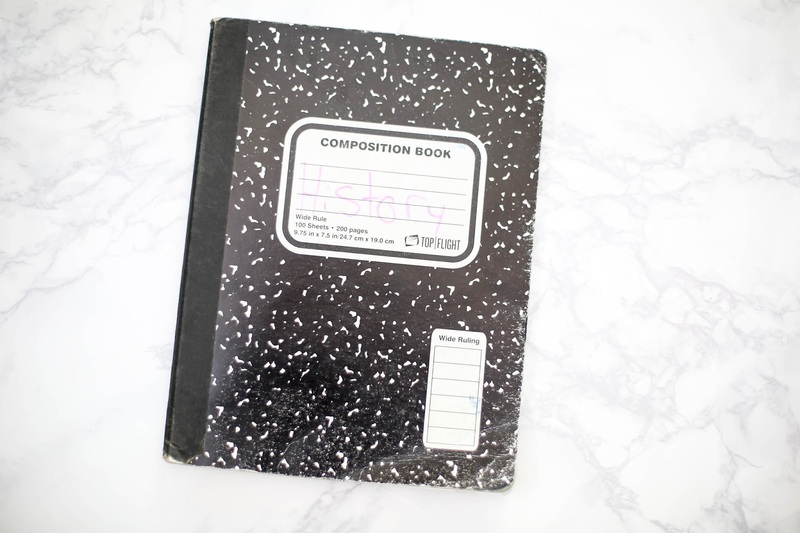 I started out with this old and very beat up composition book that my son barely used last year. 2. Pick your favorite Duck Tape designs from your local retailer. My daughter picked out these three adorable Duck Tape colors/designs. Once you figure out how you want to design your notebook you’ll need some scissors to cut the Duck Tape. 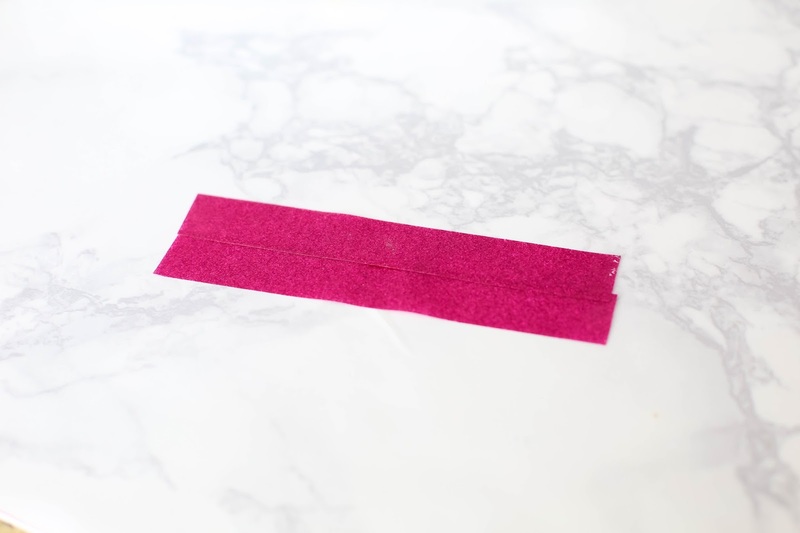 If you are using the same color/design strips side by side it can be helpful to lay them out (upside down) on your counter space overlapped by about half and inch. This helps reduce some time in applying to your notebook. 4. Step back and admire your new notebook! Not only does the old and pretty beat up notebook now look pretty cool with its Duck Tape face lift, but its also so much more durable, you’d never know it was so beat up before. Of course I couldn’t stop there! 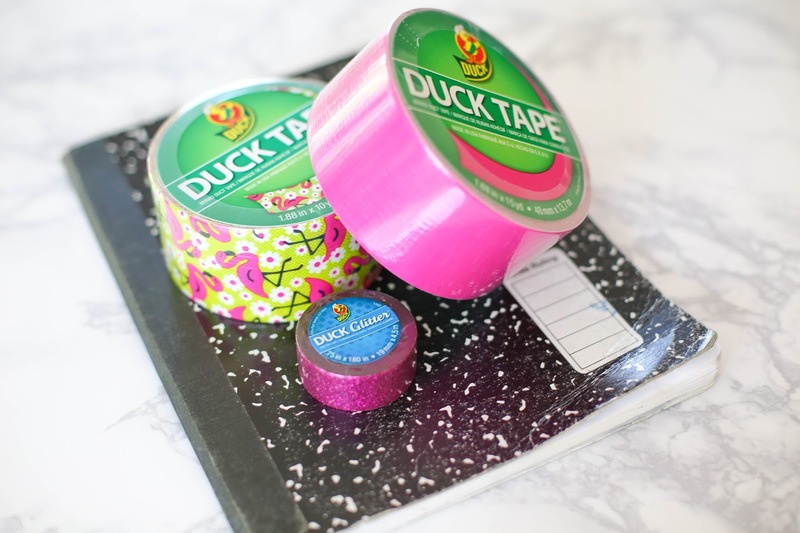 Once Isabella saw how cool the old notebook became, she wanted to put Duck Tape on everything! I was able to negotiate another beat up notebook, a couple pens/pencils and a pencil case. for your next DIY project? 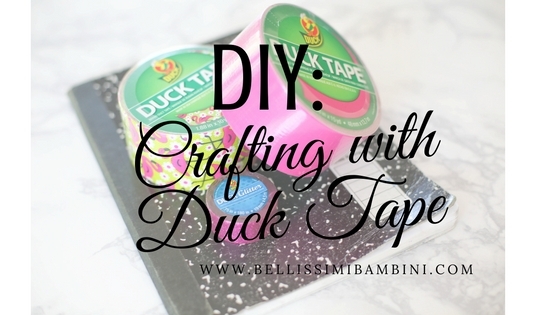 Head on over to my Facebook page and tell me what you would make using duck tape in the comment thread of my DIY: Crafting with Duck Tape post. Share these images to Pinterest! Love the notebook; so cute! I've seen so much cute stuff done with this tape. There's even a prom dress comment I've heard about! I saw that and it was amazing! Definitely lots of crafty people out there! Um I love your choices of duck tape! This looks like so much fun! This came out so cute!!! I love Bella's choices!! The notebooks are so cute! I'm always looking for reasons to buy all the cute patterned duct tape! It all turned out so cute! Love how this turned out! I just noticed my local Hobby Lobby sells Duck Tape, I think I need to make another trip…Uh oh! Thank you so much! Yes, Hobby Lobby sales them – they have an awesome variety to choose from! I love the pink! This is so cute! Omg that is so awesome! Creativity runs in your family! 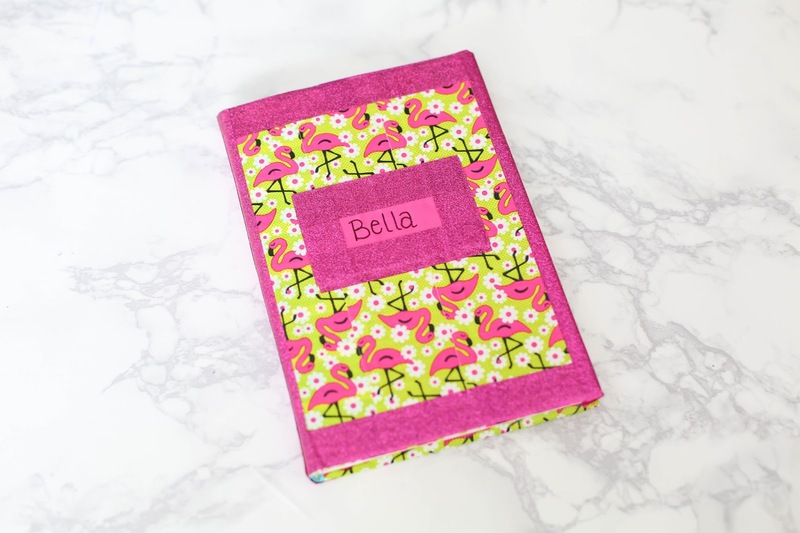 Wow, how creative are you and Isabella, that notebook looks Awesome. Duck tape is a wonderful way to personalize your everyday items. Thank you. Super cute! 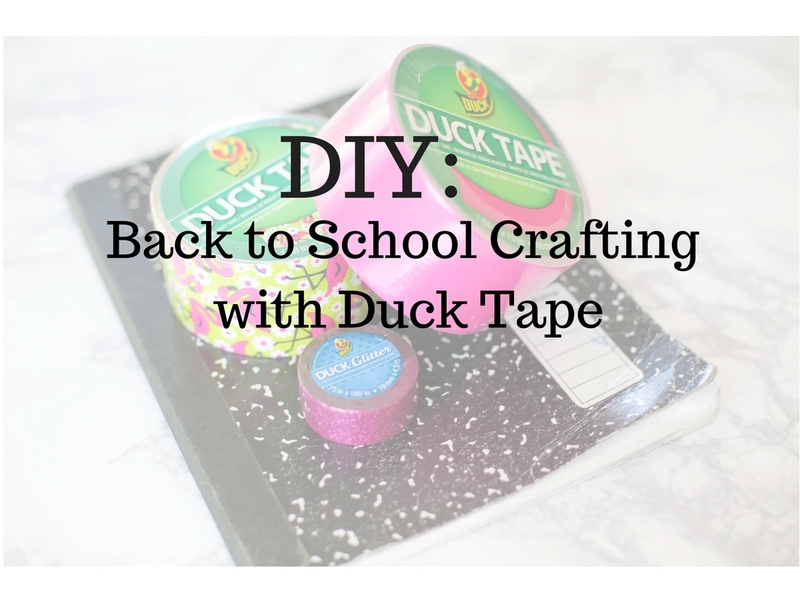 I was shocked with how many different designs and craft ideas there are for duck tape! I just made an art caddy for my post! ? That' sounds awesome, I'll check yours out now! That is great! I havent thought of covering anything in tape before, but that is a really great idea! Thanks for sharing. Duck tape has come a long way. Great way to decorate or make some cute items or gifts. Great ideas, I will have to try this with my daughter! I love how versatile duck tape is! I've worn a walking cast a total of three times (I know…I'm easily breakable XD) but have used duck tape each time to decorate it….people have always thought it super cute. This is so cute! I remember when they just had silver duct tape… haha now they have it in any and every style you could imagine! Mind blown. Who knew there were so many different kinds!!! You made these notebooks look so cute!!!! What a fun way to use Duck Tape! I love duck tape crafts! Great job. What a fun project to do with kids too! I wrapped my student's composition books with Duck tape last year!! Cute ideas girl! So cute! My daughter loves these type of crafts! I love Duck Tape brand! They always have the cutest prints! I saw one once with Disney princesses and thought it was the coolest thing ever! 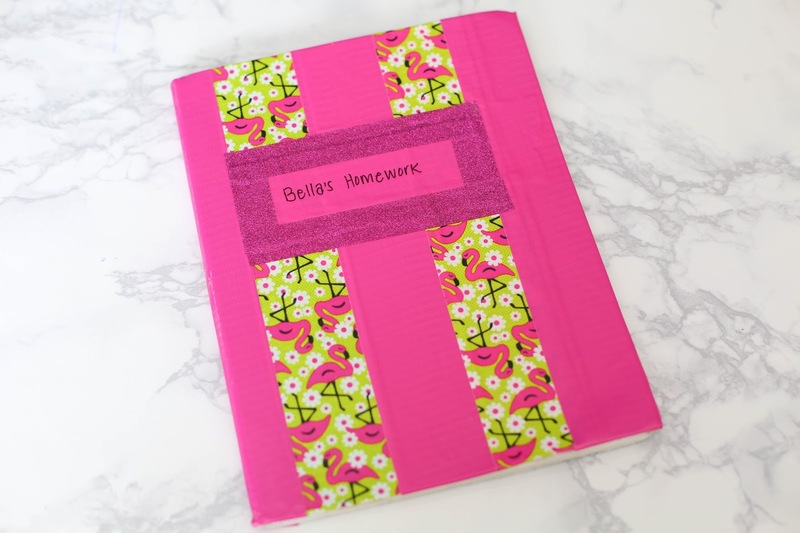 Love the idea to revamp an old notebook! Duck tape can do EVERYTHING! Fun DIY! You make duct tape look good!!!!! Seriously, is there anything ducky tape can't do?! This is so cute!